The Saudi regime ought to be treated as a global pariah. Its supreme court upheld the sentence of 10 years in jail and 1,000 lashes on Raif Badawi for the crime of expressing the wrong opinions. But there is no sign that this sadistic cruelty is disturbing the close and decades-long friendship between London and Riyadh. Saudi Arabia is currently the UK’s largest arms export market. It is a nonsense to claim, as ministers do, that this military cooperation is about nothing more than the Saudis’ right to self-defence. The reason we do not arm Iran or North Korea is that arms sales are inescapably an expression of political support and commitment to regime survival. Please sign now send an email to Prime Minister Theresa May, demanding she stop the UK profiting from selling arms to a cruel regime that commits war crimes and persecutes its own citizens. We urge Theresa May to speak out publicly against all human rights abuses in Saudi Arabia and to publicly urge the immediate unconditional release of Raif Badawi and his lawyer Waleed Abulkhair - and all political prisoners. We urge to you to speak out publicly against all human rights abuses in Saudi Arabia and to specifically call for the immediate unconditional release of Raif Badawi and his lawyer Waleed Abulkhair - and all political prisoners. The UK government should cease its support for a Saudi state that terrorises its own people and blatantly violates human rights and fundamental freedoms: Arms sales must end, the British ambassador should be recalled, and key regime figures sanctioned internationally. Disappointing news this week as the high court have ruled that the government is not breaking the law in selling arms to Saudi Arabia. This is despite well documented evidence that the Saudis are breaking international human rights laws by bombing civilians in Yemen. Campaign Against the Arms Trade plan to appeal this ruling. Keep sharing the petition to show your support for ending sales of UK arms to Saudi Arabia. 13th January is imprisoned blogger Raif Badawi's birthday. Join us outside the Saudi Arabian embassy in London at 1pm to demand his release. More info. Whilst Saudi Arabia opposes ISIS officially, its hardline Islamist ideology gives justification to ISIS terrorism and it is ignoring Saudi individuals who are funding ISIS and other Islamist factions. The UK needs to sanction Saudi Arabia for not cracking down on this de facto collusion. 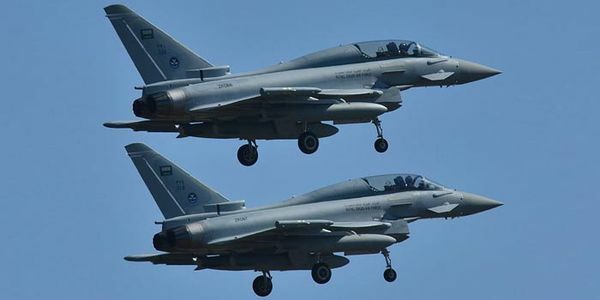 It’s more important than ever to sign and share this petition to stop UK businesses selling arms to Saudi Arabia and to push for targeted sanctions against the regime.